You've dreamed a thousand dreams, none seem to stick in your mind. It’s been eight years since Guster released a proper live album - 2004’s upbeat Guster On Ice - and on January 1st, the renowned live band will offer up new live material with Guster: Live Acoustic. 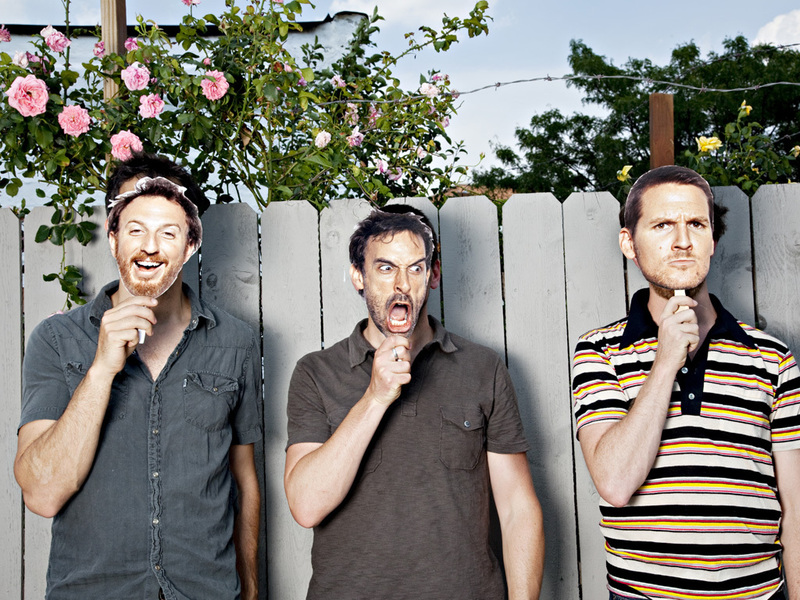 Recorded during their 2012 acoustic tour, the sixteen tracks are a musical tribute to the varied faces and places that made last year’s travels one of the most remarkable in Guster’s impressive career. For a band that has experienced a drastic sonic overhaul during its two decades, the acoustic presentation acts as the glue, bridging material as varied as the somber, percussive “Rocketship” from 1996’s Goldfly and the pop charmer “Do You Love Me” from 2010’s Easy Wonderful. The band digs deep and rediscovers “Rise and Shine,” a B-side from Ganging Up on the Sun, as well as reinventing 2006’s “Beginning of the End” as an angry acoustic hoe-down of sorts. The acoustic sound is nothing new for Guster, who began their career in the early 90s writing songs in their dorm room at Tufts University on acoustic guitars and hand drums. After 1999’s seminal Lost and Gone Forever launched their stripped down sound into the national spotlight, the band threw a wrench into their instrumentation and surprised fans with a deeper, more textured album, Keep It Together (2003). The trajectory only continued with the more experimental Ganging Up on the Sun (2006), which featured the hit “Satellite” and saw the band branching out with its arrangements and styles. Pop masterpiece Easy Wonderful (2010) was hailed as their most mature and complete album-to-date. Last spring’s unorthodox, stripped-down tour is par for the course for a band that has always done what’s necessary to keep things interesting for themselves as they’ve transitioned from college band to vaulted songsmiths. The band has been known to open up for themselves in disguise as psychedelic rockers “Trippin’ Balls” and as Christian Southern Rock outfit “The Peace Soldiers.” And Guster has joined forces with the Boston Pops Symphony Orchestra and the Colorado Symphony in recent years, with another show scheduled with the Dallas Symphony in January. Singer Ryan Miller has branched out into film scoring, soundtracking 2012’s beloved Sundance standout Safety Not Guaranteed, and bandmate Adam Gardner has achieved great success greening the music industry through his non-profit “Reverb,” which works with bands, artists, and venues to reduce the music industry’s environmental footprint. While the members of the band mainly stick to the acoustic guitars on Live Acoustic, the songs are fleshed out with Charlene Huang on violin and April Guthrie on cello – helping to bring out the parts and arrangements that have made Guster’s studio recordings such mainstays. Rosenworcel plays a drum kit adorned with glockenspiel and percussive drums like djembe and hand snare, while newest member Luke Reynolds alternates with bandmates Ryan Miller and Adam Gardner on acoustic guitar, bass, piano and ukelele. The melodies and harmonies that have made Guster famous have never been more purely on display. Guster: Live Acoustic is an album that pulls from an impressive fifteen year discography and makes a case for Guster’s place amongst the best pop bands and songwriters of their era.